Think you don’t have time in your day to get to know your patients? Think again! Nursing is stressful and busy no matter how you cut it. But you got into nursing because you care about people, and chances are you don’t get as much face-to-face time as you’d like. If you feel like you don’t have enough time in your day to sit down, have a conversation with your patients and really get to know them, think again. 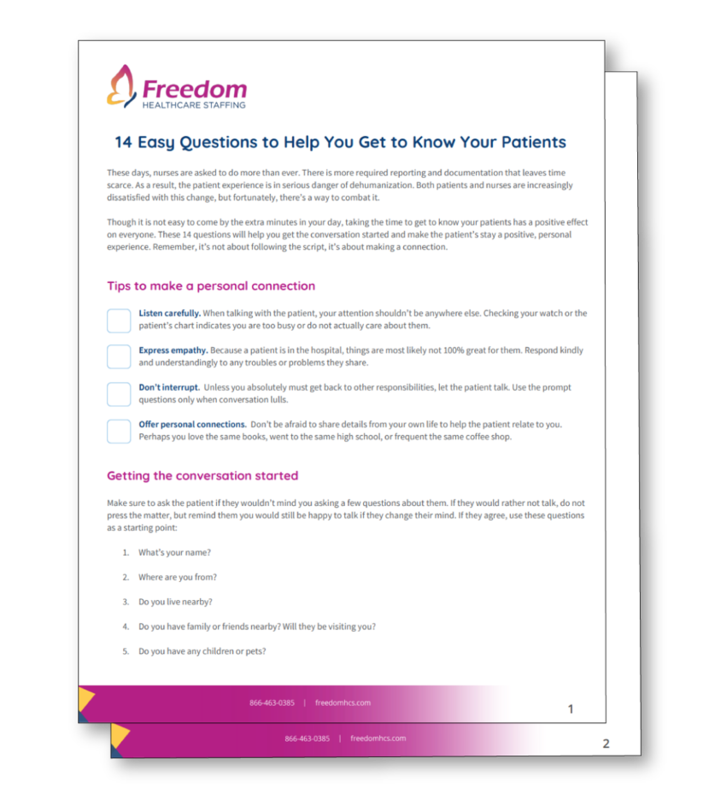 This easy worksheet from Freedom Healthcare Staffing will help you out. All it takes is a few questions to get the conversation flowing and make a personal connection that will benefit you both.